International conference on Academic Science and Engineering will be conducted on 28th to 29th of June 2019 at Lucknow, Uttar Pradesh. 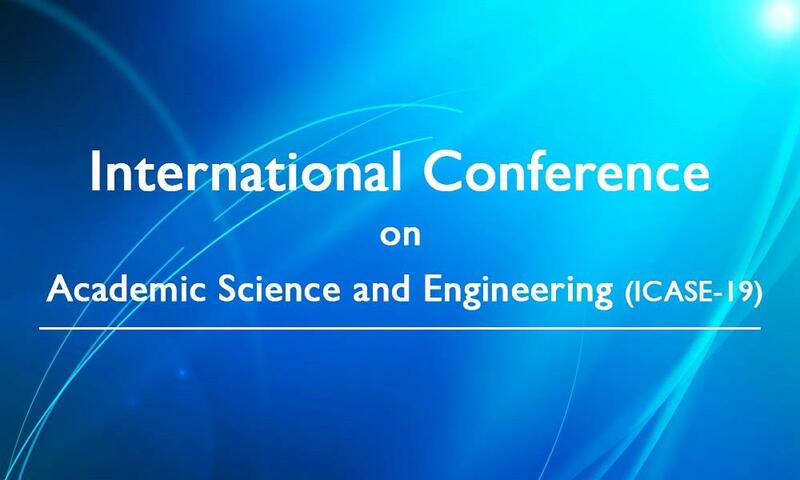 International conference on Academic Science and Engineering (ICASE-19) will be held in Lucknow. We welcome all scientists, scholars, students, industrialists to attend and explore their knowledge. This education event aims to bring together academia, researchers and scholars to exchange information and share experiences and research results about all aspects of specialized and interdisciplinary fields. This event provides an opportunity to enhance their existing network, share ideas and present their research to a worldwide community. Also, Discussion on the latest innovations, trends and practical concerns and challenges faced in these fields are also encouraged. If you would like to know more, kindly reach us at 7305477495 or at info@icasae.in.